A collection of stories to inspire more travel & bring unlimited inspiration from the world of travel. From the surprisingly unusual landscapes and extravagant Buddhist monasteries of Leh to the mesmeric beaches and lavish Hindu temples of Kanyakumari – it is a beautiful transition not just geographically, but in terms of cultures and lifestyles as well. Deciding to be a spectator to this magnetic changeover is among the best decisions of one’s travel life. Leh, the gateway to Ladakh’s high-altitude passes, lakes and river valleys and glaciers, is a charming town with the fascinating old world charm. Before you begin the drive, do spend time experiencing the heart-warming Tibetan influence on the region. 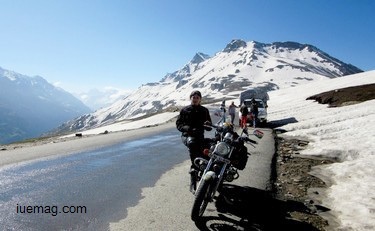 The first major stop on this amazing journey is the pristine valley of Kullu-Manali in Himachal Pradesh. It is here that the desert-like landscapes of Leh turn into snow-laden peaks and dense forests. Visit temples, springs and waterfalls and enjoy adventures like rafting and paragliding. From here, your journey to the Northern Plains begin and you pass through destinations like Amritsar (don’t miss visiting the Golden Temple), Chandigarh (The City Beautiful known for its gardens) and Delhi (explore the blend of Mughal and colonial heritage). The Pink City Jaipur should be your next destination which is easily accessible using Delhi to Jaipur cab services and you must reserve extra time for this majestic place famed for its resplendent forts and palaces. The hilltop forts of Amber, Nahargarh and Jaigarh dot the rugged Aravalli Hills while elegant palaces like Hawa Mahal, Jal Mahal and City Palace in the city’s heart showcasing the royal splendor at its best. Next, you will continue the trip disclosing the culturally rich city of Ahmedabad (discover Mahatma Gandhi’s life at Sabarmati Ashram and the unmatched textile arts of Gujarat at Calico Museum of Textiles) and Nashik, the city known for its religious sites (like Triambkeshwar Jyotirlinga) and vineyards. After that, you are going to stop at Mumbai, India’s liveliest metropolis with bustling beaches, fabulous colonial heritage and glitters and glamour of Bollywood. Don’t miss the spicy street snacks and an expedition to Elephanta Caves. As you begin the road trip again, you are welcomed by Goa, the home to India’s most sought-after beach resorts. Be ready to get bowled over by the extraordinary Portuguese influence and presence of mind-blowing cathedrals, temples, forts, wildlife parks and much more. There is no way you should miss the thrilling water sports like water-skiing, surfing, diving and parasailing and joining a night beach party. From Goa, travel to the hi-tech city of Bangalore and then take the route to Wayanad. Bangalore to Wayanad taxi will serve the best road trip experience. Home to tropical forests, lush green spice plantations, captivating waterfalls and marvelous hill stations, this district in Kerala is truly a paradise. Trekking to Chembra Peak and other popular mountains should be in your list. As you bid adieu to Wayanad, you soon enter the fairy-tale settings of backwaters and houseboats at Alleppey. 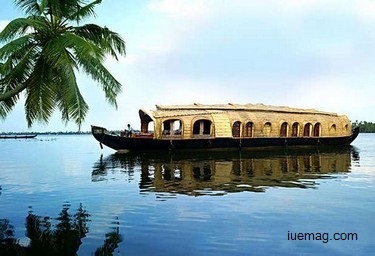 Choose to stay onboard a houseboat for at least one night and you will find yourself amidst a fantasy world. As you inch closer to the trip’s concluding point, you land at Kovalam, the coastal town known for its clean crescent-shaped beaches. Here, you find the real meaning of relaxation and rejuvenation as you grab the opportunity to undergo Ayurvedic therapies. It’s indeed a great bet as you find your mind and body winding up after such a long road trip. The southernmost tip of mainland India, Kanyakumari, extends greetings as you reach the culmination of this great trip. Explore the great confluence of Bay of Bengal with Arabian Sea and Indian Ocean along with some spectacular sunset scenes. Also, visit the memorials and temples here. This road journey is no less than a revelation about how rich the land of India is. And with that, you will most definitely gear up for many such incredible road trips across the country’s lengths and breadths. Any facts, figures or references stated here are made by the author & don't reflect the endorsement of iU at all times unless otherwise drafted by official staff at iU. This article was first published here on 23rd October 2015. Handley Jennepogu is a Marketing Expert and also a Travel-Writer.